I kid you not when I say that not only is this the palette of my dreams but I truly do think that should you purchase one eye kit this Autumn it should be this. Gah the Anastasia Beverly Hills Lavish Palette is truly beautiful from the contents to the packaging it is one of those rare finds that you will want to show everyone. I warn you now to see it is to need it! 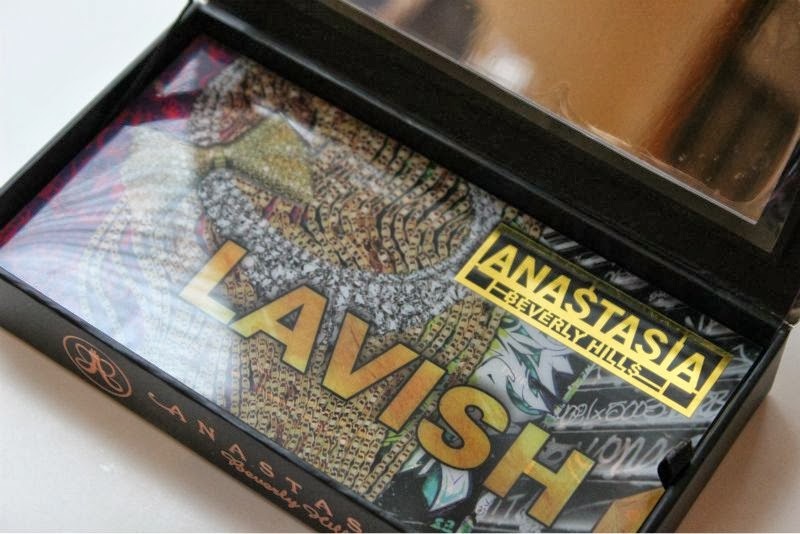 The packaging is constructed of sturdy, reinforced cardboard (a lot like Benefit's boxed blushes) that features a pretty and eye catching print of connotations of the term Lavish including jewellery and funky graffiti. 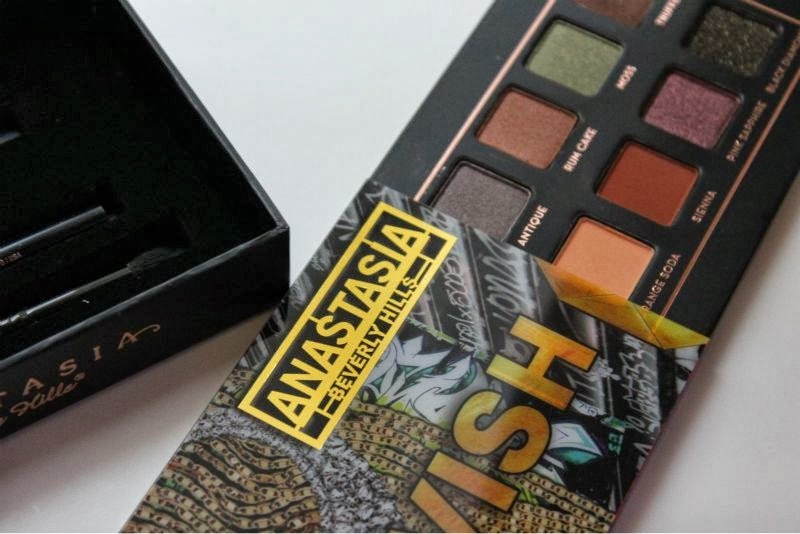 In terms of size it is slightly larger and a smidgen more bulky than the likes of Urban Decay's Naked Palette but completely portable and contains two separate compartments - one with 10 eyeshadows and the other with tools and brow accessories. However you can remove the eyeshadow compartment and use it as a separate palette should you wish which is fairly innovative and rare. Anastasia Beverly Hills Lavish Palette truly contains all you need to create several looks and not only comes with various tools and pencils but a handy, easy to follow step by step guide to create several show stopping looks. 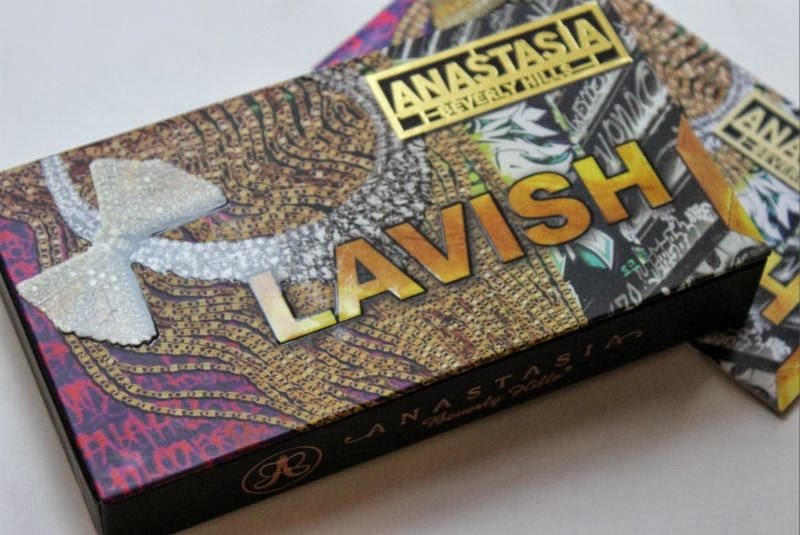 Fans of Anastasia Beverly Hills brow products will be happy to learn that this kit comes complete with full size and great quality tweezers, an Anastasia Beverly Hills Brow Pencil in Dark Brown, a duo ended high quality eyeshadow and blending brush as well as a Anastasia Beverly Hills Covet Waterproof Eyeliner in Noir (the formula of these eyeliners are out of this world you can read a full review here - link). You name it this kit has it...well as far as eye products go any way. Now on to what you came to see the swatches and product break down of the 10 eyeshadow shades! Cream - A light slightly warm tinged off white that is matte in formula and not in the slightest dry or patchy. 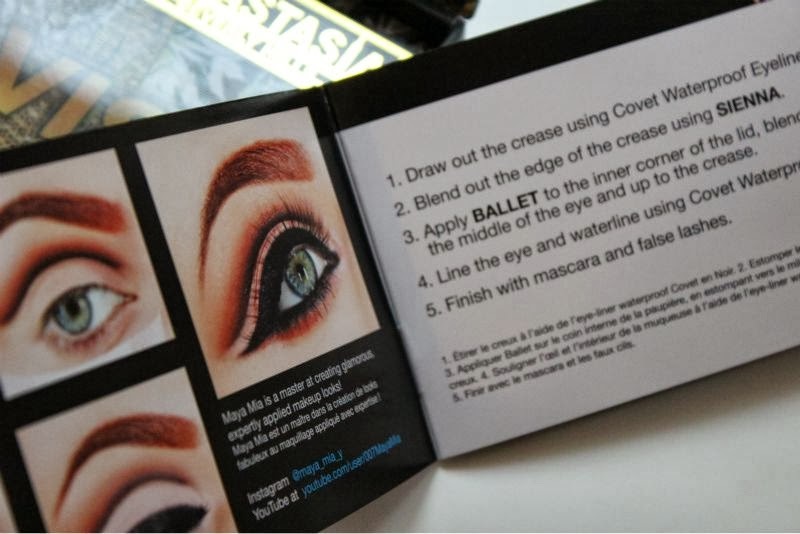 Soft to the touch and easy to apply as well as blend out - a superb matte formulation. Antique - A light olive tinged brown based cool taupe shade that has a soft metallic formulation and great pigmentation. This reminds me somewhat of MAC Club eyeshadow. Rum Cake - A bright golden coper with a warm tone that is somewhat similar to MAC Amber Lights but this is a little more intense and deeper in tone. This shares the same formula as Antique above. Moss - As the name suggests this is a mid toned green with lots of tiny flecks of glitter present. This is of course a glitter formulation but is surprisingly soft and despite the glitter flecks it does not feel dry on the skin. Truffle - Perhaps my favourite shade in the palette - a rich muted metallic shade that is the perfect warm chocolate brown with a slight reddish/purple undertone. I have nothing at all like this in my stash. Ballet - This is a light , neutral yellow tinged soft peachy pink that has the slightest iridescent glitter effect but yet in some lights looks matte. This shares the same formulation as Moss. Orange Soda - A light warm toned orange tinged flesh brown shade that is matte in formula and is the perfect neutral shade for those who have blue eyes to really make them pop. Unsurprisingly this shares the same formula as Cream. Sienna - Another matte formulation only this shade is a deep, warm red tinged brown that is pretty much Autumn personified in eyeshadow form. Pink Sapphire - To my eye this is a slightly more purple tinged version of MAC's Cranberry, it is rich, luxurious and will look wonderful on all complexions and eye colours. 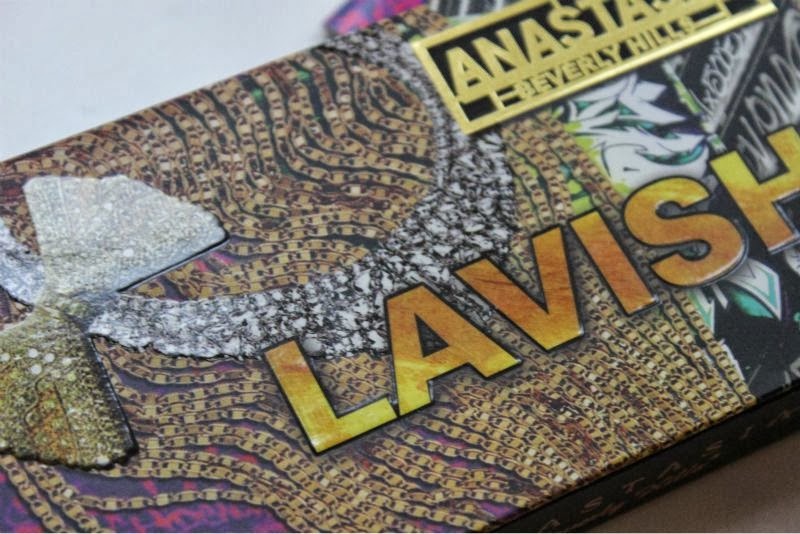 Black Diamond - A matte black base with golden glitter particles, in my opinion this sums up the palette "Lavish". A spin on a classic shade that will give extra dimension to any smoky eye or worn as modern take on black eyeliner. This is the palette to see you through Autumn and beyond, just look at those lush rich tones and tell me you are not in love! This looks amazing, each and every colour is perfect for a/w! Love it the packaging is fab also! This palette is stunning, the quality looks unbelievable. Reminds me of the popular palettes from Too Faced and UD. wow those colors are so pigmented. 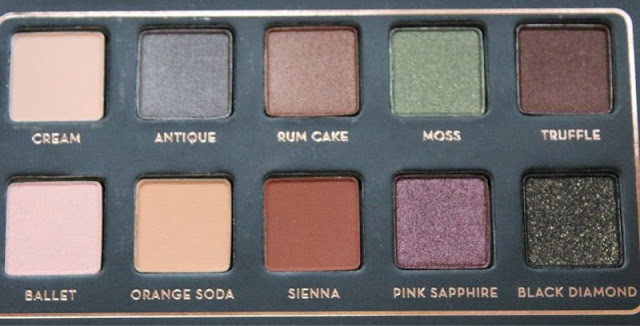 its such a pretty palette! The colours in this palette are amazing! I may not such a big fan of that packaging though! the shades are so nice and the pigmentation looks crazy! 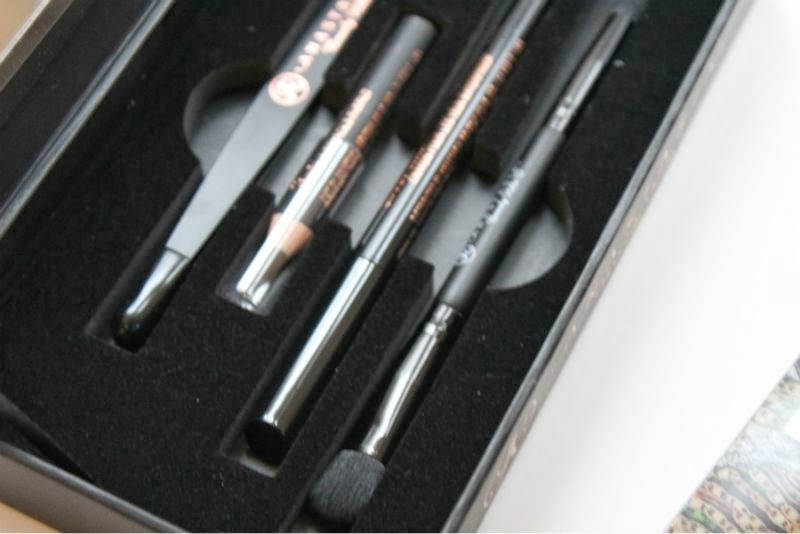 Love how it comes with tools and the eyeliner/ brow pencil- its small touches that count and make it so much more luxurious! The pigmentation is incredible...might just have to add this to my fall wish list! 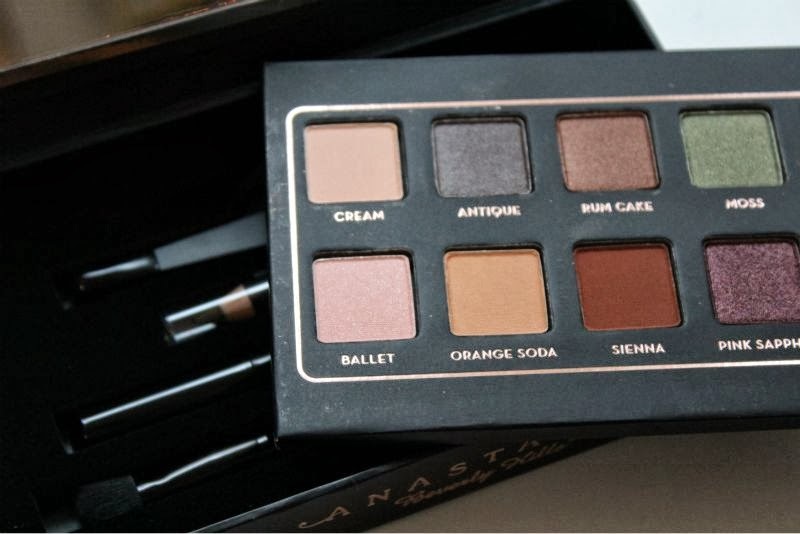 Wow the palet is beautiful, I discovering Anastasia Beverly Hills and I love it!